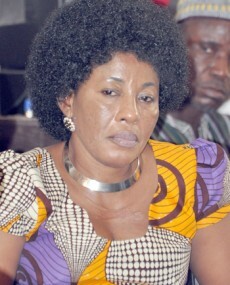 The First Vice Chairman of the National Democratic Congress (NDC), Anita De Sooso, has taken a swipe at Ghanaian media content describing what she termed as “Politically-motivated broadcasting” being pursued by some media houses as a recipe for chaos and disaster. She is unhappy that journalistic objectivity is being thrown to the dogs by some reporters and media houses because they have allowed themselves to be controlled by their political owners at the expense of tackling developmental problems in their catchment areas for workable solutions. The former NADMO boss was speaking on Asankrangwa based Royal FM’s “Yeresua adee” Morning Show on Monday August 24, 15 and lamented that owners of media houses present beautiful business plans to ‘induce the National Communications Authority (NCA) to issue broadcasting licenses to them’ but manipulate media practitioners to pursue their political whims and caprices instead, a situation that has compelled the Ghanaian Media to lip-service professional broadcasting standards. “This should be a source of worry for all well-meaning Ghanaians who have the country’s development at heart and rise up against biased news and morning show contents”, De Sooso vouchsafed. According to her, politically-oriented radio stations are on the verge of collapse since they do not get objective listeners which deprive them of quality adverts. De Sooso wonders why community based radio stations that should do local news to push the development of rural communities end up relaying news content from radio stations in Accra whose focus is on politics and entertainment. “This is a detriment to rural development and must stop”, She maintains. She has therefore urged all stakeholders to help stop the ‘politically-biased radio stations from operating at the expense of the general society’. Commenting on the ongoing biometric registration of NDC party members , the NDC scribe said her party hopes to secure more than 2million votes at every polling station for President Mahama to help retain him in power in 2016 and to increase the number of parliamentary seats for the NDC.